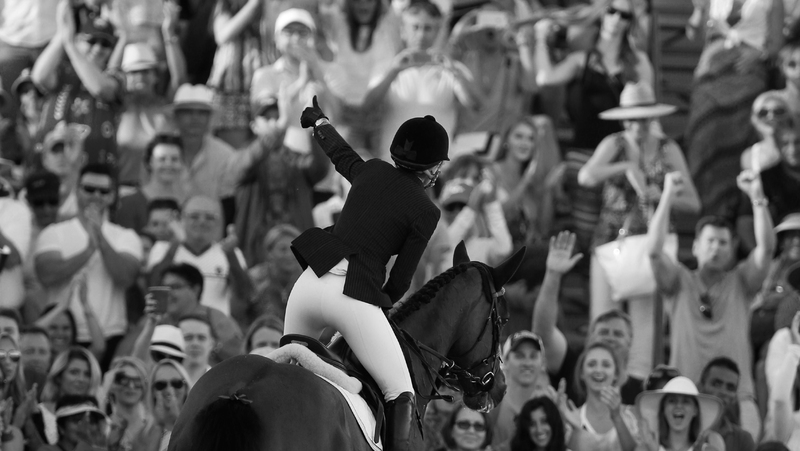 This year welcomes the ultimate showdown of show jumping, the all-new GC Prague Playoffs. Throughout 2018 the world's best athletes and teams will be battling for a ticket to the spectacular four day event, which offers up an unprecedented 12 million euros in prize money. The new GC Playoffs will be staged in the magical Czech capital Prague, one of the world’s most beautiful cities and a UNESCO World Heritage site, promising unforgettable excitement for millions of equestrian fans worldwide. The premiere of the thrilling new format for team show jumping will take place from Thursday 13th to Sunday 16th December 2018 at the dynamic O2 arena, which hosts major concerts and sports events, and will be the first indoor event on the Longines Global Champions Tour and GCL calendar. Together with Title Partner and Official Timekeeper Longines, the Tour has continued to grow and innovate over its 13 year history, delivering world class show jumping in breathtaking destinations around the globe. The GCL added a thrilling new dimension to the sport in 2016 with top riders from different countries teaming up for the first time in top level competition. The introduction of the GC Prague Playoffs this year will see a roller-coaster of eliminations, upsets and glory as teams battle through the quarter final, semi-final and final stages with the winning team alone taking home €3 million - part of the historic prize purse for a single event in show jumping. As well as the GC Super Cup, individual winners from each leg of the LGCT Championship race will be invited to the GC Prague Playoffs, where they will come face to face in the battle of the season's best. The Longines Global Champions Super Grand Prix promises to be a thrilling show-stopper, with one rider taking top honours and the lion's share of 1.25million euros in prize money. The pre-Christmas event will dramatically raise the stakes at every stage of the regular GCL team championship with even more tension building at the season final at prestigious AL SHAQAB in Doha in November. Only the 16 best teams from the 2018 season will qualify for a place and the top four teams will automatically be fast tracked directly to the semi finals. This year the combined overall prize money for the Longines Global Champions Tour individual series, the GCL regular season and the new GC Prague Playoffs will be €35 million. Prague, known as “the City of a hundred spires”, will stage the event over four days at the O2 arena with top-level sport and great entertainment for approximately 14,000 spectators. The ultimate showdown will take place in the run up to Christmas when the fairytale city will have a special festive atmosphere where visitors can enjoy the contrast of Prague’s historic Baroque architecture and the famous Castle and the cool modern neighbourhoods and art and design zones. With something for all the family, and top tier sport guaranteed, this will be the showdown to end all showdowns with only the best of the best reigning supreme. For tickets, please click here.